Here is a great recipe for adapting the flavors of a Banana Daiquiri into a jelly (Jell-O) shot. Try this recipe to get the hang of making jelly shots then adapt your other favorite cocktails into these party favorites. This recipe is for a single, 3-ounce box of gelatin, which is the most common size. It will make about 16 1-ounce shots and you can multiply the recipe to make more or to fit bigger cups. Got the jelly shot-making technique down? Check out these 10 Fun Jell-O Shots from Popular Cocktails. Mix the liquors with cold water and chill in the refrigerator so they are a consistent temperature. Pour gelatin into a bowl. Add boiling water, stirring until the gelatin is completely dissolved. Stir in chilled liquor and water mix and food coloring (optional). 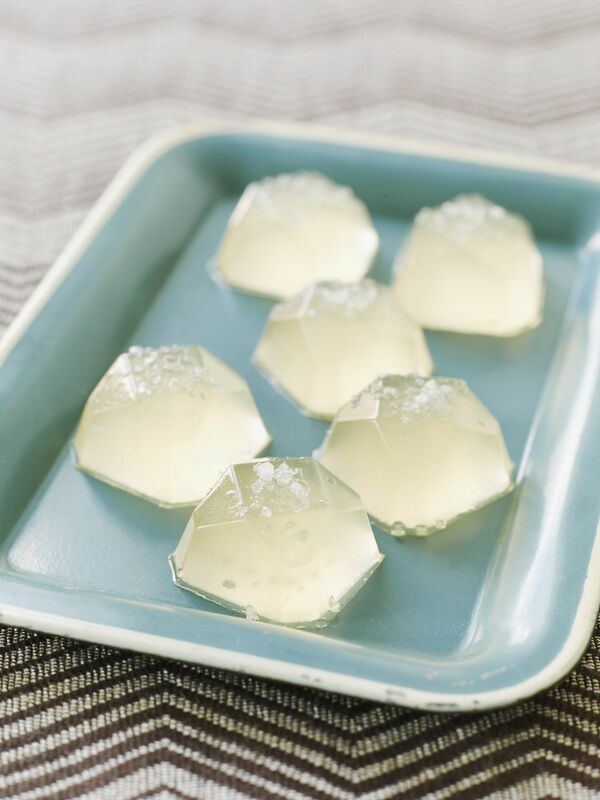 Pour into shot glasses, molds, or a baking pan for a sheet of gelatin to cut up once set. Tip: The small, plastic shot cups are perfect because the drinker can just squeeze the shot out.